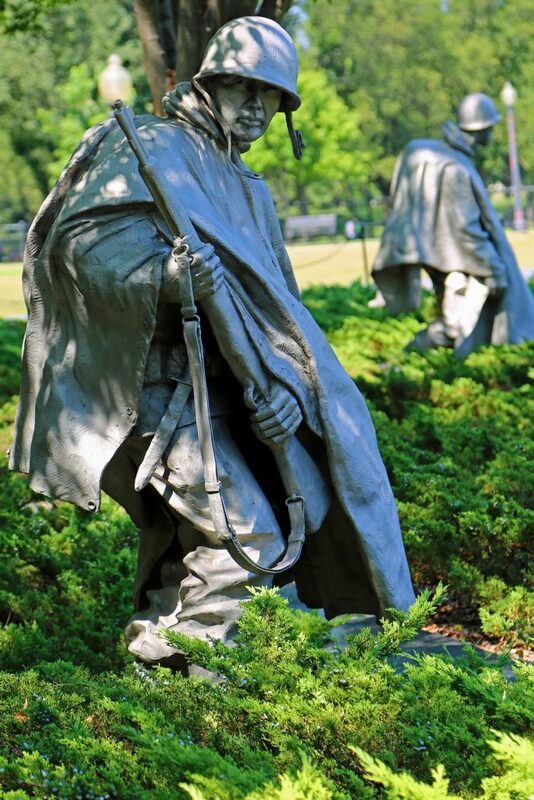 The Korean War Memorial took my breath away when I first saw it. It feels like the soldiers are staring you in the eyes and following your movement. I have heard that the memorial is absolutely amazing and scary at night. 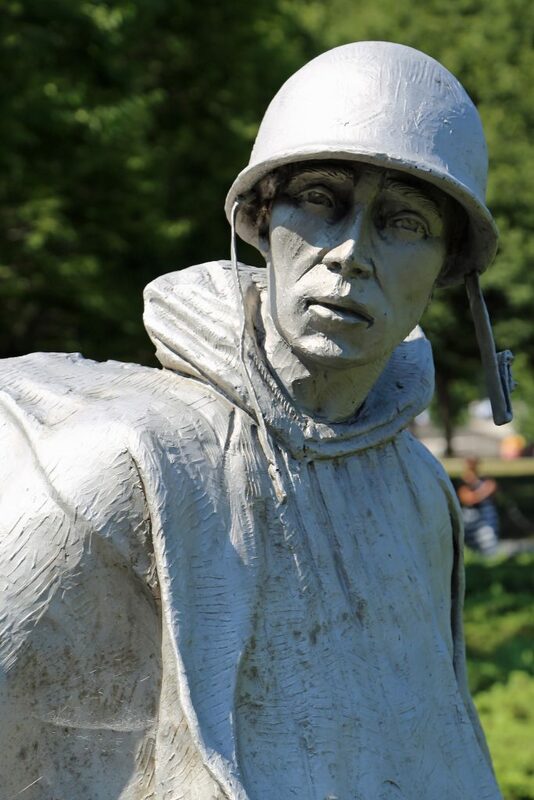 That the figures of the soldiers feel like they are moving when you see them. The memorial is open 24 hours a day. Located near the Lincoln Memorial and Vietnam Veterans Memorial in Washington DC. 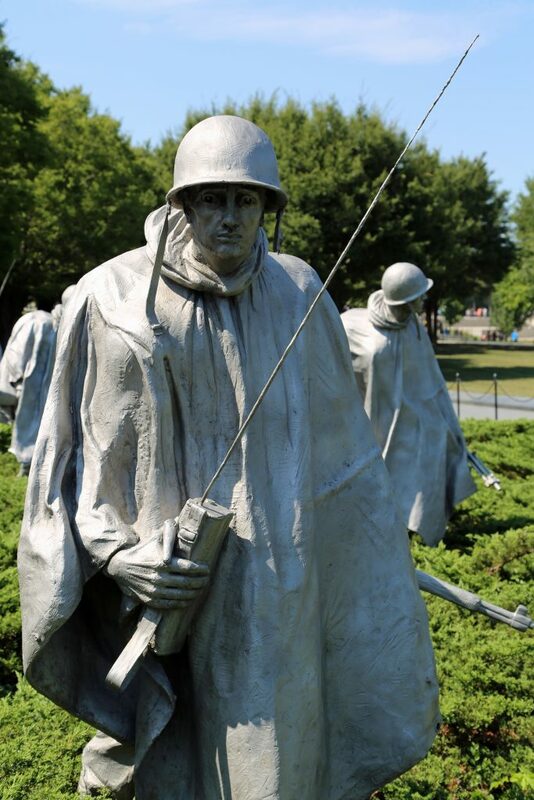 The Korean War Memorial includes 19 stainless steel statues that were sculpted by Frank Gaylord of Vermont. They were cast in New York before being brought to DC. 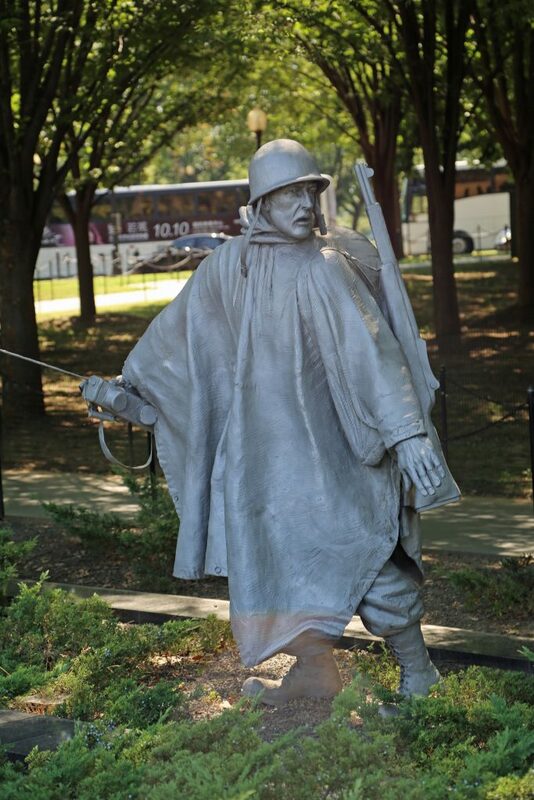 They stand approximately seven feet tall and represent an ethnic mix of America and the soldiers who fought in the Korean War. The statues are in a juniper brush field and are separated by granite strips. They represent 14 Army, 3 Marine, 1 Navy, and 1 Air Force member. The Juniper Brush field is to represent the rice paddies of Korea that troops would have encountered during the war. 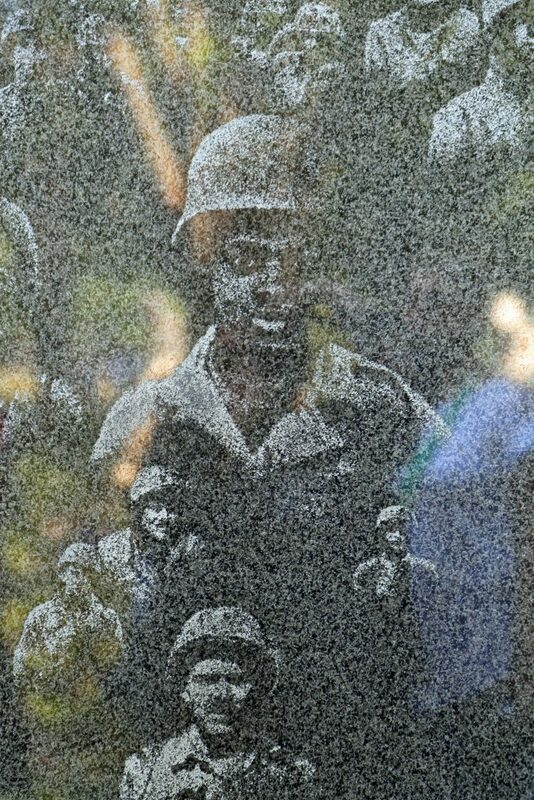 The Korean War Veterans Memorial also features are Mural Wall designed by Louis Nelson from New York. This wall was created in Minnesota before being moved to DC. The memorial wall has 41 panels that extend for 164 feet. The wall includes 2,400 photographs of the Korean War that was in the National Archives. Make sure and look at the reflections in the Memorial Wall. 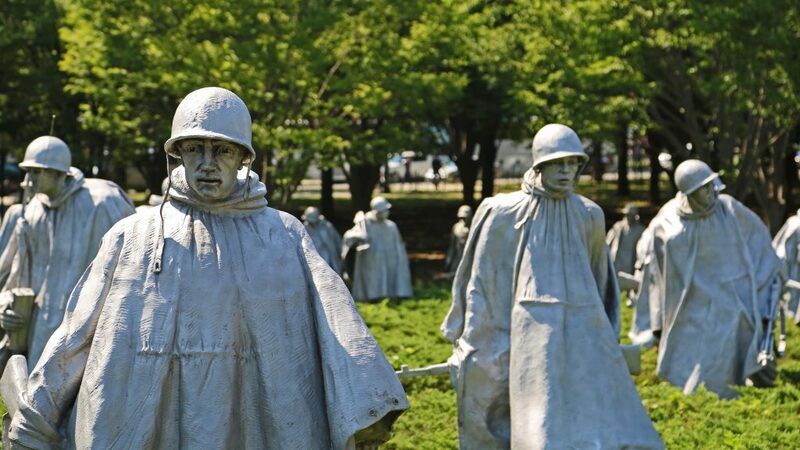 You will see a total of 38 statues that symbolize the 38th parallel and the 38 months of the Korean War. 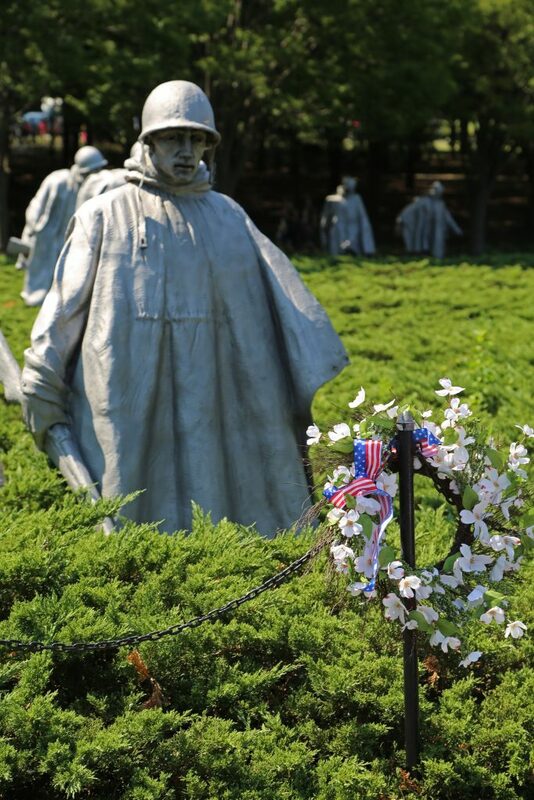 To learn more about the Korean War Memorial make sure and check out the National Parks Website. 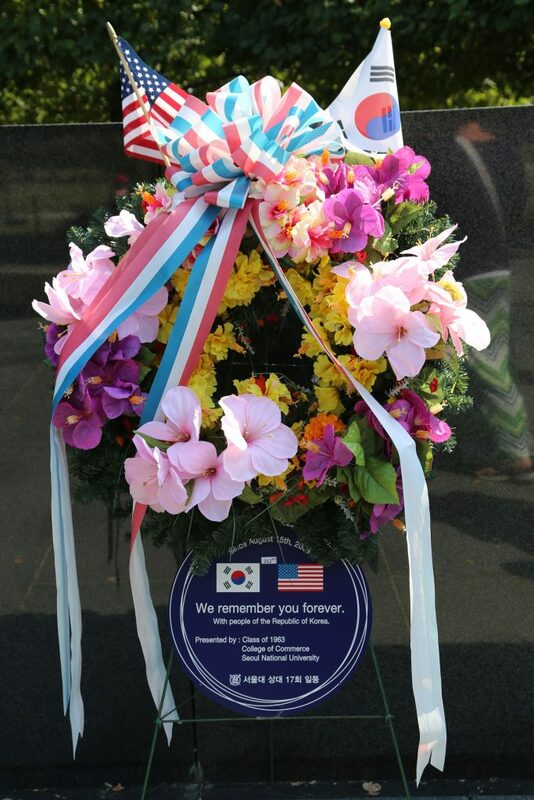 Check out these letters written from Korean War Memorial soldiers and people who lived through the war. Be prepared with tissues and some time. They really hit you in the heart.